Discussion in 'Downhill & Freeride' started by b.utters, May 21, 2012. 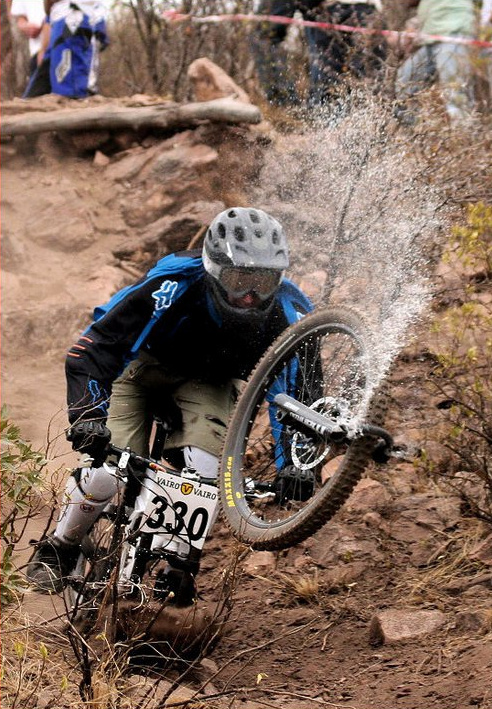 Does anyone have a link to the picture of a guy with his fork lowers falling off mid race? I think the fork was a manitou travis. I've been looking for about 2 hours now and cant find it anywhere! I have never seen that photo before, it is amazing! And he is about to be in a world of hurt. That happened here in Los Cocos, Cordoba, Argentina. It was during the 2009 national championship. Luckily the rider didn't get any serious injury, just a couple of scratches. And it pretty much summarises why you shouldn't ride a Manitou fork ;-).